Harold W. "Stormy" Martin III will be the new director of the National Coordination Office (NCO) for Space-Based Positioning, Navigation, and Timing (PNT), the focal point for federal agencies working out GPS policy issues. Martin was the deputy director of the NCO and an Air Force colonel until this summer when he retired from the military. He will succeed Jan Brecht-Clark, who retired at the end of 2013. His start date as director has not been set. The NCO was established by the White House to “facilitate information sharing, coordinate on and issue resolution on space-based positioning, navigation and timing programs,” according to GPS.gov — a site maintained by the office. It provides the permanent staff of the National Executive Committee (EXCOM) for Space-Based Positioning, Navigation, and Timing and deals with requirements, budgets and policies across the Department of Defense (DoD), the Department of Transportation (DoT) and all other U.S. agencies. 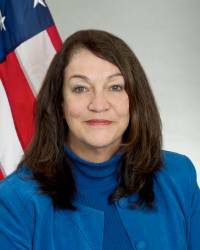 The NCO director is chosen by the DoT’s assistant secretary for research and technology. Greg Winfree is the first person to hold that post. He was the head of the Office of Research and Innovative Technology Administration, or RITA, when that organization was renamed and elevated to the assistant secretary level by last year’s omnibus funding bill. Funding — or more specifically the lack there of — will be a key concern when Martin takes the helm. DoD and DoT jointly fund the NCO. While DoD got most of its request for fiscal year 2015, the House and Senate slashed the budget for DoT’s contribution to GPS. It is not clear what the final number will be for civil GPS funding but is likely to be $10 million or less of the $27 million requested. The NCO’s operations have been threatened by such cuts in the past. Although the NCO team interacts with other nations involved in satellite navigation, much of its work focuses on the United States’ Global Positioning System. 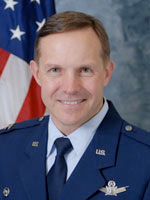 Martin previously served as commander of the 50th Operations Support Squadron at Schriever Air Force Base, Colorado, which operates GPS, and as director of operations for GPS. He deployed for Operations Desert Shield and Desert Storm and helped provide direct combat support during Operations Iraqi Freedom and Enduring Freedom. Martin served in staff positions at Headquarters U.S. Air Force, Air Force Space Command and the Space Warfare Center. Prior to joining the NCO he was the chief of the Military Satellite Communications Operations Division and chief of the Position, Navigation & Timing Operations Division for Headquarters Air Force Space Command. This high-level experience will likely be useful in dealing with two of the key issues for the constellation and its users — encroachments on the GPS spectrum and the fallout from a decision by the Federal Communications Commission (FCC) to refuse to allow a high-powered broadband network to use frequencies adjacent to those used by GPS. The coast-to-coast service, proposed by a Virginia firm called LightSquared, was shown to cause interference to nearly all kinds of GPS receivers. Although the LightSquared project has been on hold for more than two years, the issue has not been resolved. Harbinger, the firm’s main backer, has sued the federal government over the shelved plans and there continues to be pressure from a variety of players to reallocate frequencies for broadband use — including, potentially, allocations that could negatively affect GPS and other GNSS systems. The FCC has been weighing proposals that are widely seen as setting standards for GPS receivers. Meanwhile the Department of Transportation, after a two-year delay, is launching studies to determine the amount of interference that GPS receivers can stand at different frequencies. These subjects are likely to be taken up by Congress in the next two years and the NCO is almost certain to play at least some role in the policy debate that ensues.